I may be a little obsessed with Solange. I decided to capture her again with this all white look. I loved how simple and chic it is. I think I wore these pants twice already on this blog within the last month. I'm obsessed with them. 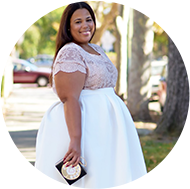 It is extremely hard to find white pants in plus size with a great cut, a heavy enough fabric, and that just look great. I see that they aren't available online anymore, but you may find them in store. 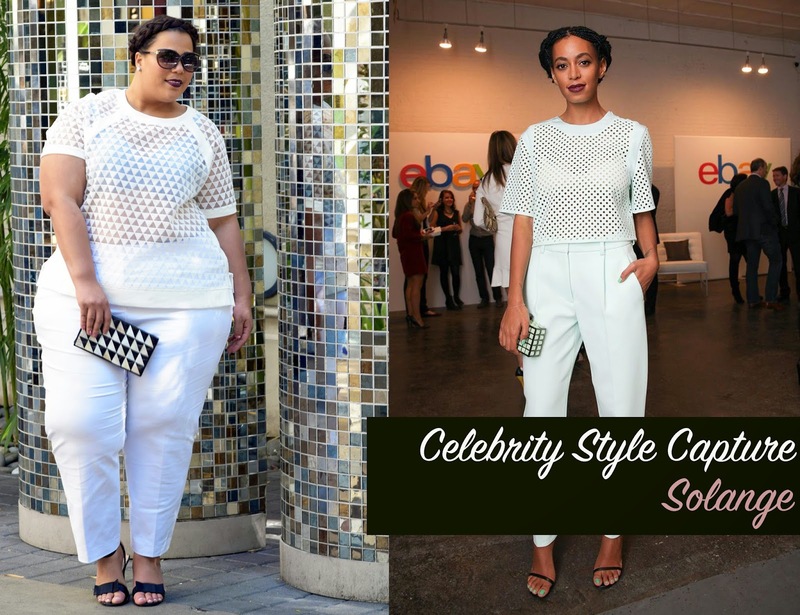 They are the Isabel Toledo for Lane Bryant white pants. I love this top from Mynt. I think my favorite thing is that it's sheer in the front and solid in the back, so you get the party in the front and the business in the back. HA! 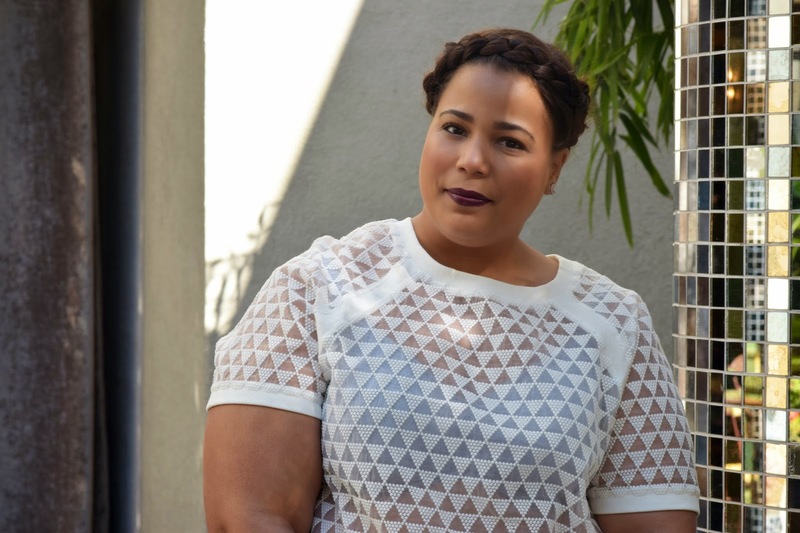 Style Notes: I got these pants in a 26, and the top is in a size 22. The pants do have stretch. These are definitely worth the investment if you are looking for a fab pair of white pants for the spring and summer.